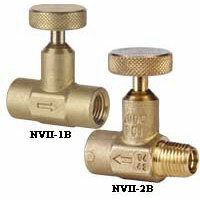 Needle valves are manual linear motion valves for precise flow control in low flow, small pipe applications. Models provide excellent performance and reliability. They have a tamper-proof design and blowout-proof stem. A few models are designed to be used in pressure or non-critical vacuum applications. 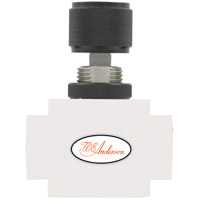 Needle Valve provides easy flow regulation in all applications, including shut off and throttling for pressure gages and instruments. Years of maintenance-free service can be expected. 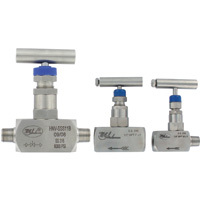 Needle Valve 1-Valve Block Manifolds is a barstock needle valve designed for isolating instruments from liquids or gases. Features fine threading and large seat area to ensure tight shutoff. Ideal for use with corrosives. PTFE Needle Valve is designed for laboratory and industrial applications for regulating corrosive gases and liquids for high purity services. Designed to be used in pressure or non-critical vacuum applications.